Bandai Namco announced Dragon Ball FighterZ will receive an update on May 9th, adding new features and a balance patch. New features include: Party Battle, FighterZ Cup, Combo Challenge, Replay Channel, and updates to Training Mode. All fighters received minor to major balance updates as well. Check out the full patch notes from Bandai Namco. 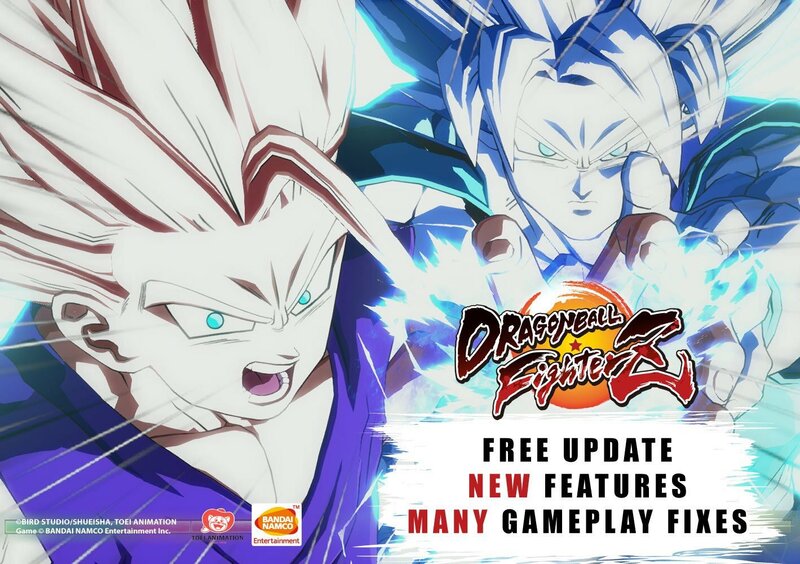 A free update for Dragon Ball FighterZ on PS4, XB1 and PC is coming May 9th! • Fixed an issue where the training dummy doesn't properly playback movements that are recorded in advance when using Ginyu's Body Change after performing Dragon Rush (Forced Switch) and not resetting the positions in-between these two actions. • Fixed an issue where damage scaling isn't properly processed when executing Frieza's You might not survive this time and connecting it with following Death Ball. • Fixed an issue where a player's main character is able to cancel moves to an another move even when they are whiffing in the case the player team's fireballs got reflected by an opponent's Z-reflect or Super dash.